Danni's Dreams: A fun time! And look what I got in the mail when I got home!! I ordered this on Wednesday and here it is! Fast service from The Greeting Farm!! We'll see if I can get anything accomplished tonight! Hope your day was wonderful!! Looks like your day was a winner all around! Good show & thanks for sharing! I am happy to hear you had a great time!! What a bunch of goodies from the Greeting Farm!! Can't wait to see your creation!! So glad you had fun at Jennifers and your coloring is beautiful as always Danni! Can hardly wait to see what you do with your new greeting farm images! Love that set, and I can't wait to see what you create with your coloring!! You did a great job on your coloring!!! I am sure it was a ton of fun!!! Don't you just love coloring! It's like crayons for big people! Can't wait to see what you do with the new stamps set. Glad you had fun - I love coloring. Don't you love Greeting Farm? The rubber is such great quality too. Glad you had fun on Your play date! Those new stamps are adorable!! 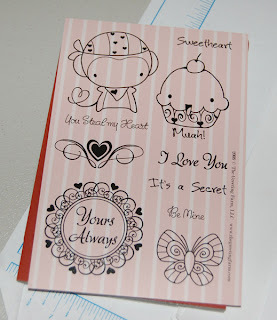 Oh, my, those stamps are super cute! Can't wait to see what you create with them! Hey Danni! Looks like you've been doing some mass coloring! I do that a lot! 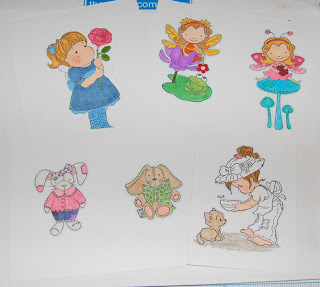 I think I have at least 50 images colored. . .now, I just need to get down to business and make cards for them. Beautiful job with the coloring. Whoohoo. . .can't wait to see your card with TGF stamp set. I love that set! !